You could walk into any electronics store and be confronted by hundreds of wireless Bluetooth speakers, but they would all pretty much look the same. 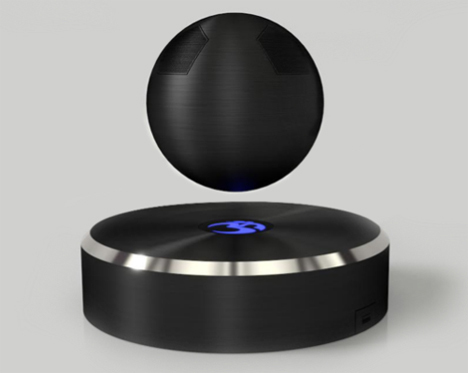 The Om/One breaks the mold with its seriously different form: an orb floating above a glowing blue light. 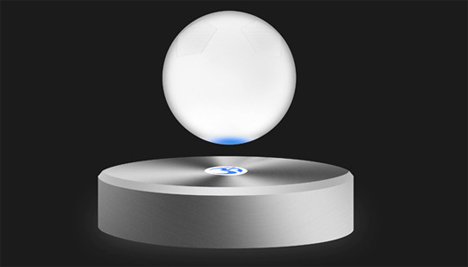 The Om/One works with Bluetooth 4.0 technology to hook up to your devices for playback, just like any other speaker. As it spins your beats it also rotates above the base, delivering decent sound quality which is even better when it’s paired with a second Om/One. There’s also a built-in microphone that allows you to use the device as a speakerphone. We can’t speak to the sound quality of the phone setup, but it would definitely be a more attractive option than putting your iPhone on the table and shouting in its direction. 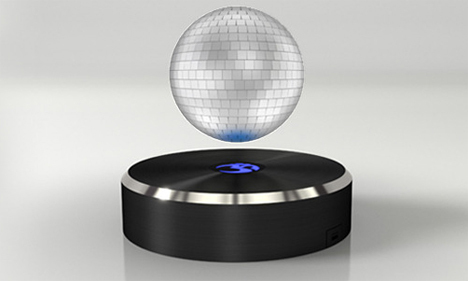 The speaker is rechargeable and portable, so if you want to take the orb along with you to a party or just another room it’s easily movable. It can run up to 15 hours on a single charge away from the base. Om/One is currently crowdraising funds through Tilt for its first production run; the team expects the first shipment to go out in time for the 2014 holiday season. They’re currently offering the Om/One in black, white, and disco ball color options for the early supporter price of $179. 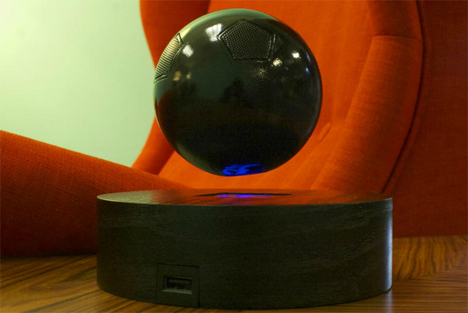 Despite the slick form factor, the price is actually on par with other Bluetooth speakers of similar specs, which makes it seem like a pretty good deal if you’re into things like levitating, spinning speakers – and why wouldn’t you be? See more in Audio & TV or under Gadgets. August, 2014.